The merger will see Nine shareholders own 51.1% of the combined entity with Fairfax shareholders owning the remaining 48.9% and is expected to be completed by 7 December. The combined business will be led by Nine’s current chief executive officer Hugh Marks and see the Fairfax name absorbed. According to the ACCC, the merger investigation, which has been ongoing since late August, examined multiple industries and over 1000 submissions, with the main concern surrounding a lessening of competition. “This merger can be seen to reduce the number of companies intensely focusing on Australian news from five to four. Post the merger, only Nine-Fairfax, News/Sky, Seven West Media and the ABC/SBS will employ a large number of journalists focussed on news creation and dissemination," ACCC chair Rod Sims said. “With the growth in online news, however, many other players, albeit smaller, now provide some degree of competitive constraint. These include, for example, The Guardian, The New Daily, Buzzfeed, Crikey and The Daily Mail." 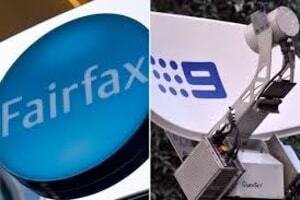 Information before the ACCC indicated that Nine’s television operations and Fairfax’s main media assets did not compete closely with each other: the product offerings and brand positioning are differentiated, and each target different audience groups. The consumer watchdog also considered whether the merged entity would have the ability and incentive to engage in bundling of advertising opportunities. The ACCC did not consider it likely that the merged entity would engage in anti-competitive bundling, because advertisers generally do not consider that Nine or Fairfax supply any ‘must haves’, and large media agencies generally have considerable bargaining power. See: Nine and Fairfax merger will offer scale and simplicity to advertisers, says sales boss. “It is clear to us the ACCC were thorough in their considerations of the many submissions they received and we welcome this rigorous process, as this is first merger to take advantage of the government’s media law reforms. 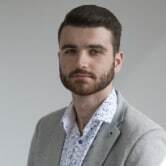 It is a clear acknowledgement of the changing competitive landscape in our industry, where the ability to compete across a variety of platforms and to engage different audiences is key. In a letter to staff, Marks revealed that to assist with sharing information, the company has put together a Merger Information Portal to answer common questions, highlight key milestones and announcements. "The integration team is very committed to the process and are busy pulling together all the key work required for the integration. We all need to remain flexible and patient through this process for us to achieve a positive future for Nine," Marks said. The merger is the first major deal to be made in Australian media since the media reforms were passed last October. The combined business will include Nine’s free to air network, 9Now and Stan, property business Domain, as well as Fairfax’s mastheads – which includes the Australian Financial Review, The Sydney Morning Herald, The Age and It will also include Fairfax Media’s investment in Macquarie Media. With the reputation of this independent Australian Government authority resting on his shoulders, chairman of the Australian Competition and Consumer Commission, Rod Sims, spoke to AdNews about elements of his work and explains why it’s vital to keep a strong amount of scepticism in mind. See the interview here. The Australian Competition and Consumer Commission (ACCC) has approved the mega-merger between Nine and Fairfax after it was announced earlier this year that Nine intended to acquire the publisher.